Again, the food! But in Portugal, there is no way around it. The local cuisine here is an essential part of the culture and if you really want to really know the country, you have to eat your way to it. It’s a completely enjoyable task! I spent two wonderful years of my life studying in Portugal, and it brought me so much – including the ten extra kilos I gained visiting all the local cafes, pastelerias and restaurants in my first year. All my life I’ve argued, and said that I’m not one for sweets. However, I should tweak that a little – I don’t eat sweets so long as I’m not in Portugal. Virtually every step you take here leads you to a pastelaria – something between a bakery, a café and a pastry shop where locals come in the morning for coffee and have a little something sweet to eat, all without ever sitting down. As a rule, the sweeter it is, the better, and as one Portuguese proverb says “o que é doce, nunca amagrou” – what is sweet, never goes bitter. The Portuguese national dessert is the famous pasteis de nata, which literally made me collapse in delight. In Lisbon, they’re called pastéis de Belém as it’s produced in that district. What is it? A small cupcake with a soft creamed yolk, served strictly fresh, still warm, and buried in cinnamon. The most well-known, crunchiest and best you can find is in Lisbon Belém, inside an old candy store called, what else, Pastéis de Belém. Located at 84 and 92 Rua de Belem, it’s impossible to miss when arriving to the center. It’s decorated with a blue roof and in most cases there is a long line. But don’t be discouraged – the line-up is for people taking their Pastéis home with them, however, if you go inside, you can sit down in a huge space divided into several rooms and serviced by an army of waiters. Better ice cream than Italy! If you visit Lisbon when it’s warm and sunny (practically any time from April to October), you absolutely can’t miss the opportunity to taste the best ice cream in the entire world (sorry, gelato italiano …) – at the Santini ice cream parlor. Originally, together with the locals we had to go to Cascais, a small popular beach town about 30 km away, to get it. At the time there were two branches open on the beaches in Estoril and Carcavelos. 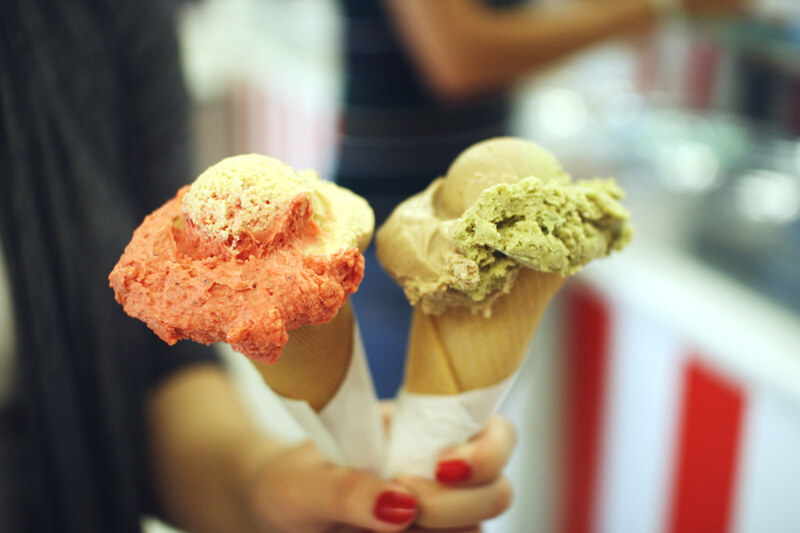 But finally, even the Lisboners who’d been waiting to see the ice cream can now enjoy some right in the heart of the city, in the Chiado district. You still have to wait in line, but you definitely aren’t going to regret it! People don’t live on sweets alone, and in this respect Portugal has a lot to offer. Portuguese food might not be as renowned as French or Italian, but that doesn’t mean it’s any worse. On the contrary! And what’s more, unlike France or Italy, in Portugal you don’t have to dig too deep into your pockets – in Lisbon it’s still possible to find obscure restaurants and taverns where you get soup, a delicious main (fresh fish, seafood or meat), wine, dessert, coffee and great local wine spirit – o bagaço – to digest for €12-15. Another Portuguese proverb says that there are more recipes for cod than days in the year. 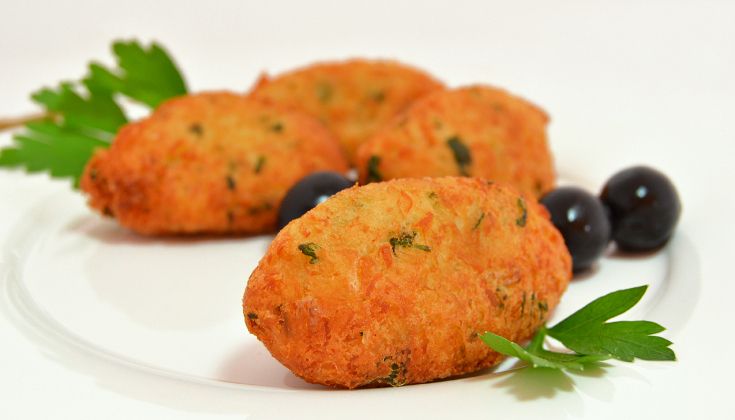 These savory cakes, which are golden and crusty on the outside and soft inside, are tasted as an appetizer or even as a snack for beer. 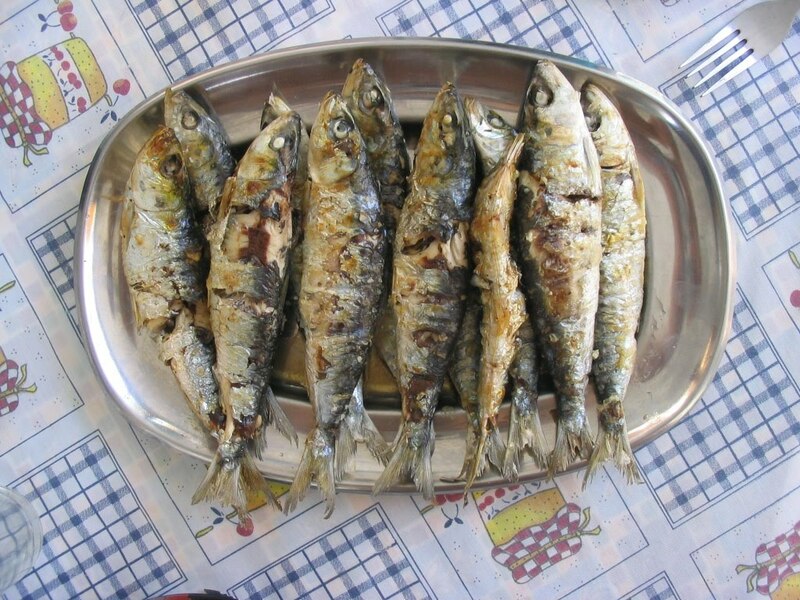 Portuguese cuisine, due to the geographical position of Portugal, naturally includes a lot of fish and seafood. Put everything you snare at the market into a large pot, drench it with wine, add tomatoes and herbs, and leave it cooking for a long time. This is an ideal dinner after a long day at the beach! The Portuguese love their soups – especially thick and creamy, with various kinds of mixed vegetables. 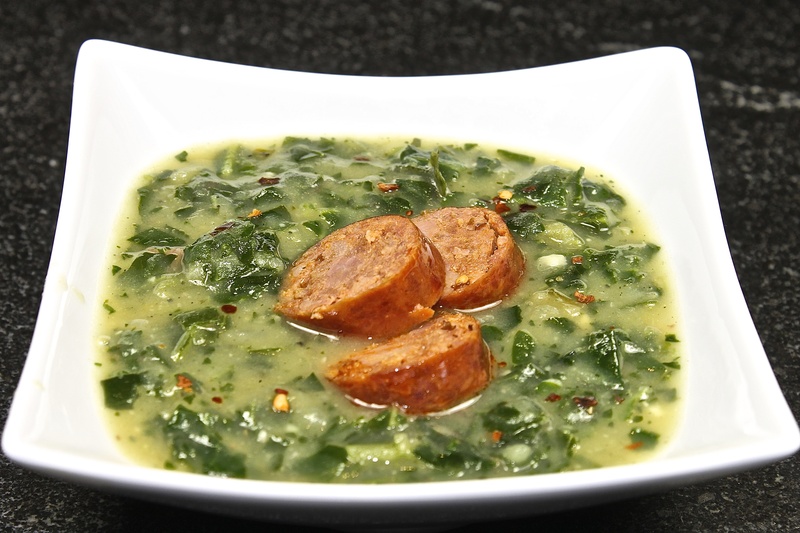 This soup is different – made of potatoes, cabbage, and a mouth-watering sausage, you can’t have a traditional celebration or festivity without it. A fantastic combination of fresh fish and a smoky aroma added by a charcoal grill. 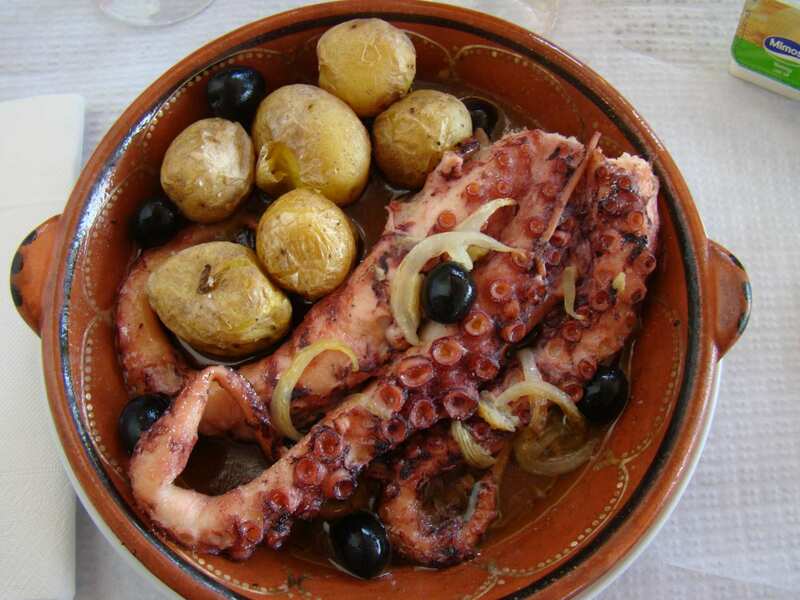 This is a typical Lisbon dish, whose consumption reaches its peak in June during the feast of St. Anthony, the patron saint of the city. Whether it is served with bread, potatoes or salad, it always tastes great seasoned with one of the excellent local olive oils and salt. This is a dish the Portuguese like to indulge on during special occasions, like Christmas Eve. It’s my very favorite Portuguese specialty. Grilled octopus is drenched with olive oil, sprinkled with roasted garlic and served with roasted potatoes. 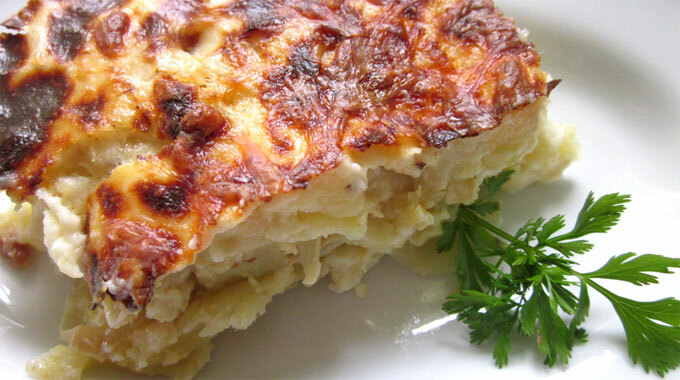 As I mentioned above, cod is the Portuguese national dish and there are countless recipes. The most typical, however, is this treatment, where pieces of dried and salted cod are baked with potatoes, onions, cream and spices. It’s not the most photogenic food, but it’s a real treat! And now you’ll have to excuse me. I’m going to go look for cheap tickets to Portugal! Thanks to a knowledge of Spanish and Portuguese, I prefer countries where those languages are spoken. Portugal almost qualifies as my second home and I love returning there. I’m also happy to discover new lands as well and I can't wait to soon realize my dreams of seeing Brazil and discovering more of Southeast Asia. Never miss another blog post covering one of your favorite destinations! Earn from Your Travel: We’re Seeking Trip Designers!